Roger Neill Morse was born in Sydney, New South Wales on 25 January 1914 to Aileen and Richard Victor Morse DSO. His father had a distinguished engineering and military career in the First World War as a Major, commanding the Australian Electrical Mechanical, Mining & Boring Company at the Western front in France, returning to the Hydro Electric Department of the Government of Tasmania and the New South Wales Public Works Department. Roger attended North Sydney Boys High School and won a scholarship to Shore where he completed his studies becoming Dux at the age of 16. He graduated from Sydney University in Science (BSc) in 1934 and Engineering (BE) in 1936 attaining First-Class Honours and the University Medal. After graduation he worked as an Engineer with Westinghouse Rosebery Pty Ltd from 1936 to 1940. Between 1940 and 1945, he was commissioned and served as a Major with the Australian Army HQ Mechanization Directorate, AIF Royal Australian Engineers in Townsville and New Guinea during the Second World War. Upon his return from the War he was appointed the first engineer with CSIR at Head Office in Melbourne. Following thorough initial research into what was required, he was responsible for setting up the Engineering Section where he was Officer-in-Charge of from 1955 to 1963. He was appointed Foundation Chief of the CSIRO Division of Mechanical Engineering when the Engineering Section achieved Divisional status in 1963 and held the position for a period of 10 years (1963-73). 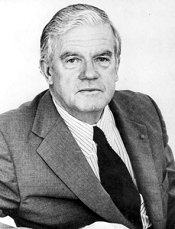 From 1974 to 1978, he was Director of Solar Energy Studies at CSIRO and on retiring from CSIRO was Chairman of the Victorian Solar Energy Research Commission from 1978 to 1980. Roger Morse, one of Australia’s pioneers in solar energy research and development. A forward and critical thinker he was keenly involved and dedicated a large part of his life to the first objective of the Australian Academy of Technological Sciences, namely: to promote in Australia the application of scientific knowledge to practical purposes and to provide in Australia a forum for discussion and advice to government and the community in relation to the application of scientific knowledge. He was a man of vision and wanted to contribute his relevant knowledge and skills to benefit Australia and Australians. Right from his initial appointment at CSIR he envisaged ‘being useful’ and ‘making a difference’ to the Australian community who lived and worked in a predominantly hot and dry environment. agricultural engineering research leading to reduced grain silo storage losses due to insect damage. Consequently he was involved in the establishment of CERES, a controlled environment research facility known as a Phytotron, which is still in use in Canberra after some 35 years. the solar energy research strategy and thermal applications of solar energy including water heating, as a resource to be efficiently harnessed and industrially viable. The last was his most significant focus. His solar energy work started in 1952 leading to papers on the design and construction of solar water heaters including one he presented at the World Symposium on Applied Solar Energy in Phoenix Arizona in 1955. This work up to 1964 laid the technical foundation for the commercial manufacture of solar water heaters in Australia. By 1974 at CSIRO, he led a team of 100 engineers, scientists and technicians, some 40% of whom were engaged in Solar energy research and development, gaining international acclaim. He published over 30 papers on Solar Energy technology and utilisation, in technical journals and conference proceedings, in Australia, Denmark, France, Italy, Japan, Sweden, Turkey, United States and West Germany. His work on a Solar Milk pasteurisation scheme at Kiewa in Victoria in the early 1960s and one of his papers ‘Solar Industrial Process Heating for Can Warming at Queanbeyan, NSW, Australia’ described early solar industrial process heating systems installed in Australia. Roger Morse was a determined man. Inspiring and encouraging. A mentor to many. A practical man who imparted much wisdom and knowledge to his family and the scientific world at large. His legacy of professionalism and intellectual excellence will remain. He travelled the world widely mostly to present papers and attend Solar and Engineering conferences. He was frequently accompanied by his ever lively and enthusiastic wife Margaret. They made enduring international friendships which enriched both their and the family’s lives. They were both generous hosts and enjoyed entertaining colleagues and friends at the family home in Caulfield and the beach house at Somers. Roger’s practical knowledge and skills kept the family, Ian, Kerry and Michael busy, involved and learning. Both sons followed him into engineering careers. The beach house was built by the family, guided by Roger with frequent reference to the Reader’s Digest Handbook of Building Construction. The family grew up involved in stimulating projects, including constructing a solar raisin dryer in the back yard and developing a prototype solar water heater in the garage. This was completed and installed at Somers where it still operates 48 years later. He died in Melbourne on 2 March 2003 aged 89. Roger Morse was recognised by his peers during his career including election as a Fellow or Honorary Fellow of several professional bodies as indicated below. In recognition of his contribution to the promotion of solar energy utilisation, he was made an Officer of the Order of Australia in 1979 and was awarded the Peter Nicol Russell Memorial Medal in 1980, the highest award of the Institution of Engineers, Australia. Ilsley K, 2003, Eulogy written for the Australian Academy of Technical Sciences & Engineering. Kery Ilsley is Roger Morse’s daughter.